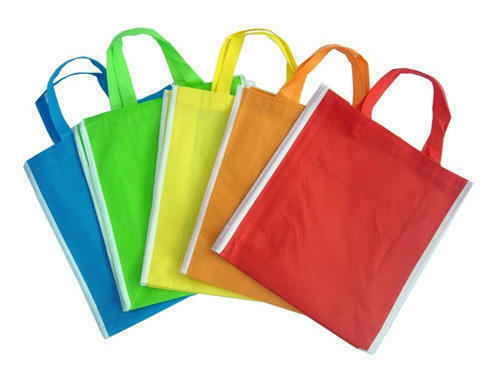 Being one of the trusted firms in the industry, we are highly engaged in providing a unique range of Non Woven Bags. CU Clothes Unlimited was founded in the year of 2000, as a leading and well-known manufacturer, trader and supplier of this commendable range of ladies wear. We are based out as a Sole Proprietorship and situated our operational head at Chennai, Tamil Nadu (India). Under the quality assortment of products we are presenting Ladies Tunic, Ladies Skirt, Ladies Legging, Ladies Dupatta, Ladies Salwar Suit, Corporate Uniform, South Cotton Dobby Kurti, Cotton Salwar Bottom Dupatta and many more for our customers. These products are highly preferred by the clientele for their premium quality, eye catching look, soft fabric, attractive colors and appealing designs. Our offered products are designed by using optimum quality fabric and latest technologies under the supervision of our domain experts. The material is procured from the best and well-known merchants of the market. Our merchants deliver the fabric in a promised time frame. We have established an advanced infrastructure unit, which is laced with all the requisite technologies and tools required for the manufacturing of the offered range of products. Apart from this, these products are specially designed as per the ladies demands in order to satisfy them completely. Before the final delivery of the products, these are passed through a series of quality procedures to make sure that only quality proven collection is delivered to our customers.